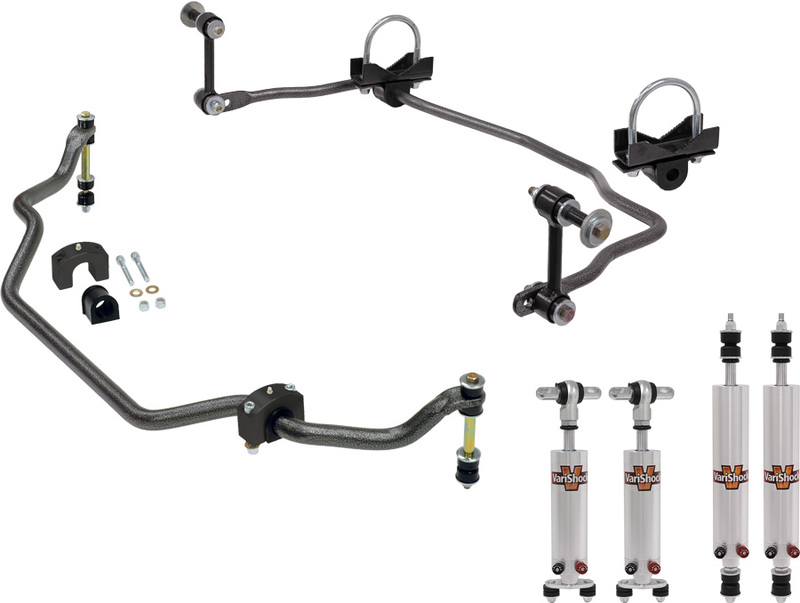 Total Control Products offers a selection of direct-replacement front and rear suspension upgrade packages for classic Mustangs and related models. Kits include front and rear anti-roll bars matched with VariShock Bolt-Ins, a line of high-quality OEM-replacement shock absorbers. Front bars include billet-aluminum chassis mounts and urethane bushings. Rear bars are axle-mounted and feature three endlink adjustment holes to vary the bars spring rate. VariShock billet-aluminum shocks are included in the package and are available as factory-valved or 16-position single- or 256-setting double-adjustable versions to fine tune ride quality and handling performance. Installation takes just a few hours may require drilling and minor trimming to mount the components.